Do you have a business or a community space that you think would be perfect to host The Heart Gallery? Our galleries are hugely important in raising awareness for local children living in foster care and waiting for their forever families. We are always looking for new sites around Pinellas and Pasco counties to display our gallery. 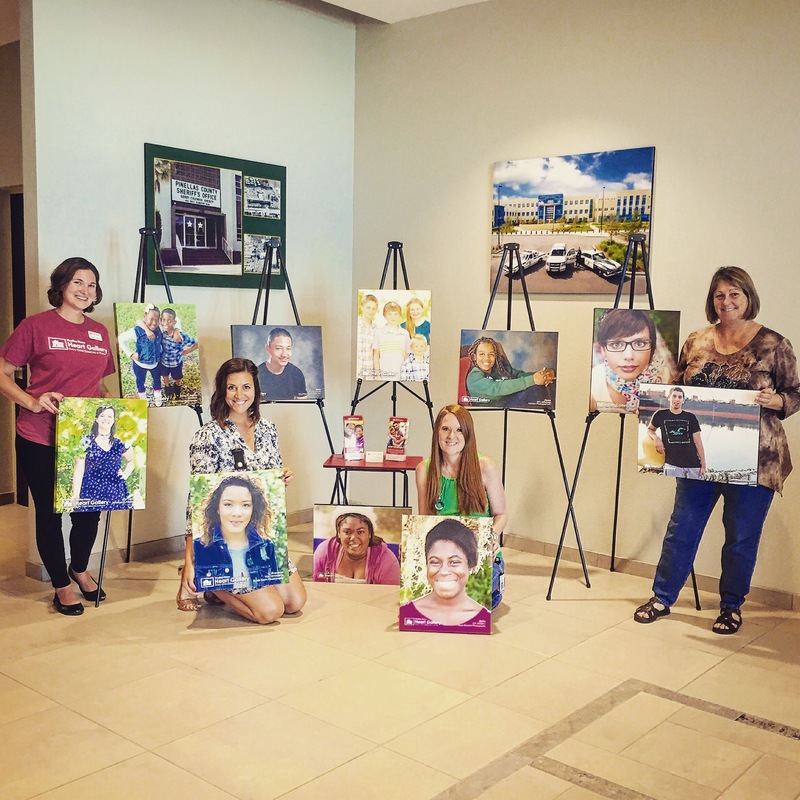 We love to see our gallery popping up throughout the region! With a blank wall or an empty corner, your business or congregation can become a Heart Gallery ambassador or a Faith Based Champion. Want to host a pop-up gallery for a month or more? We do all the work at no cost to you. Your business will be listed here with a link to your website. Reach out at Patsy@heartgallerykids.org. Looking for us in your community? Want to be on this list? Reach out to Elizabeth at elizabeth@heartgallerykids.org to discuss how your space can become an avenue for change.